For over 40 years Ken's Appliance Service, Inc. has worked hard to establish and maintain prompt, personalized service to our customers. We are committed to providing quality service to the community. We believe that a reputation of honest and reliable business is the recipe for success. Large selection of water filters! 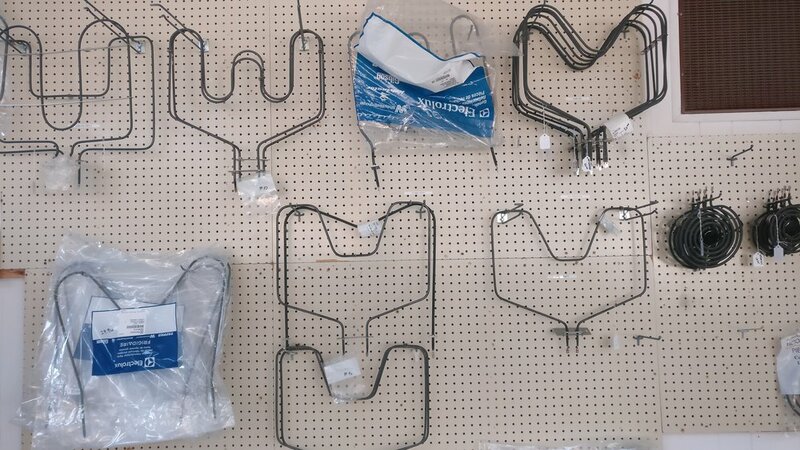 Everything from valve coils to agitator dogs available! Most common models of icemakers on hand! While others seek to profit by cutting corners or recommending unnecessary services to customers, we believe that our great reputation and consistently great service will bring bigger profits in the long run and better serve the community. We are locally owned and operated. We service all major brand appliances and provide a professional and enjoyable repair experience with prompt, courteous service. Our professional service technicians have the expertise to service all major brand appliances, we are fully insured and our technicians are company employees and undergo stringent security and background checks as well as drug screening. We do not provide service or parts for commercial products, sorry for the inconvenience.